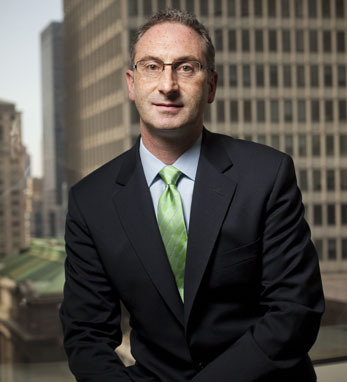 Alan T. Ennis has served as Revlon’s president and CEO since May 2009 and has been a director on the company’s board since March 2009. He was named a “Top 40 financial executive under 40” by Treasury & Risk magazine in 2008. Prior to joining Revlon, Alan held several senior positions with Ingersoll-Rand Company. He began his career in 1991 with Arthur Andersen in Dublin. A chartered accountant and member of the Institute of Chartered accountants in Ireland, Alan is on the board of directors of the Ireland -U.S. Council. Alan holds a Bachelor of Commerce degree from University College Dublin, Ireland, and a Master of Business Administration degree from NYU Stern. Born in Dublin to Michael Ennis of Tipperary and Maggie Ennis of Cork, Alan believes that “being Irish is about perseverance, resilience, and gratitude.” He currently resides in New Jersey with his wife, Michelle, and their three young children.